From day one, I’ve envisioned my indoor comfort system as a pipeline of different systems that work together to create an optimal scenario. You’ve had a chance to watch that pipeline come together, in the form of advanced wall construction techniques, underfloor heating, and mechanical systems that are conducive to saving energy and keeping occupants comfortable. The final piece of that indoor comfort system pipeline is the thermostat. A thermostat is a small but important piece of any comfort system, and it’s important to select one that corresponds with the requirements of your system. As I was saying last week, there is no better time to be a home builder than the digital age, because integrating different systems in your home is easier than ever before. Every time I visit a hardware store, I’m reminded by the aisle full of different switches and control panels of how lucky we are to live in an age where the options are virtually limitless. Building convenience into your home is easier than ever before, and achieving near-complete control over your home’s systems is much more cost effective than it used to be. As our project reaches the finish line, I wanted to touch on this one more time - I’ve been building homes for several decades, but developments in connectivity and home automation have come relatively recently in the scope of my experience. Like any passionate home builder, I’m always on the hunt for what’s new so that I can get the most value out of my project. 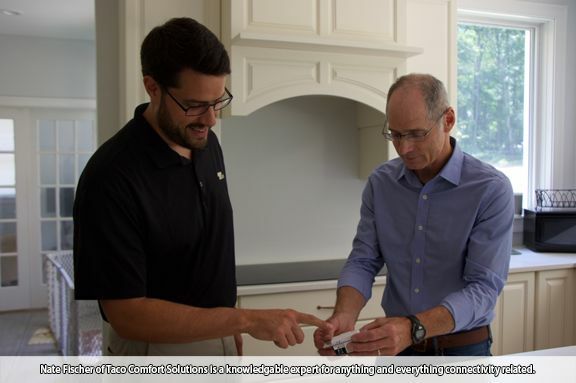 To cap off our conversations about connectivity and home automation, I invited Nate Fischer of Taco Comfort Solutions to the job site to take a look at the project. Nate is Product Manager of Applied Technology Deployment and has a background as a system design engineer for high quality audio and video systems. For anything related to connectivity, Nate is an excellent person to talk to. In deciding what features of my new home to automate, one big takeaway for me was the necessity to take into account other people who will be in and out of the home or living there permanently with me. I’m a bit of a tech junkie, so I didn’t want to design a system that would be too difficult for my wife or daughters to use. To me, that’s one of the most important takeaways when it comes to home automation - designing a system so that everyone in a home or building can use it easily. One of my favorite parts of doing this project is the opportunity to share with you a variety of information on a range of subjects that fall under the umbrella of home construction. As we get closer to the finish line of building my new home, I wanted to take the opportunity to revisit one of my favorite sources of knowledge - Ring’s End Lumber. If you’re like me, hardware stores and lumberyards are places you enjoy visiting. If you hang around these places long enough, you’re bound to learn something or meet someone willing to share their knowledge. If you’ve been following along, you’ll remember that we first visited Ring’s End Lumber when it was time to select windows and doors. In that episode, I spoke with David Lee, a 30-year company veteran who has made his mark on countless home construction projects. 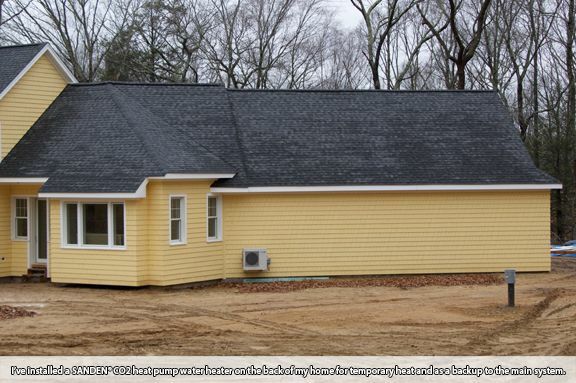 He possesses a wealth of knowledge and expertise, and I would highly recommend him as a source of knowledge to anyone who is installing windows, doors or interior trim in the eastern/central Connecticut area. A lot of changes have happened since our last episode! Now that the walls of my new home are all painted up, I’ve been working on four key areas of the home’s interior: the flooring system, the kitchens, the bathroom, and the master bedroom. The hardwood flooring system that I’ve selected is perfect for this project. The floor panels have a very thick true hardwood top layer on a plywood substrate. This has the effect of making the floor dimensionally stable, which is important for underfloor heating applications. I like the look of hardwood, but I don’t want it to shrink, dry out or bow. Engineered hardwood is an ideal choice for this project, because my plan is to heat from underneath the floor by attaching heat transfer plates to the subfloor. Many people purchase a pre-finished hardwood floor, but for this project I purchased the panels unfinished. My plan is to sand it down and stain it in a gray tone to match other elements of the house. 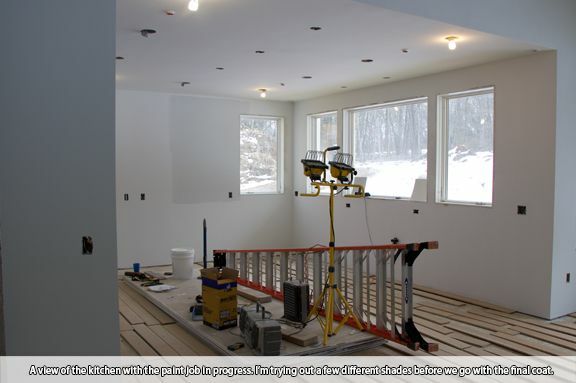 Unforeseen items can come up during the course of any homebuilding project. Any number of plot twists can come up during the course of construction - from weather-related to logistics to unexpected costs. Some are relatively minor, and others can significantly affect your project timeline. 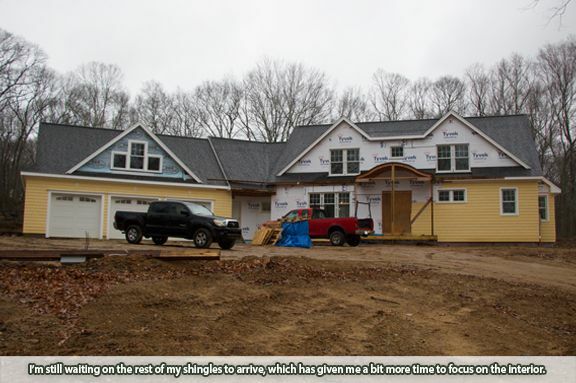 As my home nears completion, I find myself thinking back to some of the times during my project when I had to make adjustments to my plan or find a different way to do things. During the framing stage of my project, I discovered that I couldn't determine the elevation needed to complete framing between the main part of the house and the garage. Luckily, I was able to find a workaround relatively quickly thanks to my friends over at Point One Architects - having a network of experts to fall back on is a crucial piece to the puzzle and can help you make the best of a situation. If you are dealing with an unexpected roadblock in your project or a cost that you didn't anticipate, my advice is to remain calm and take some time to assess the situation. 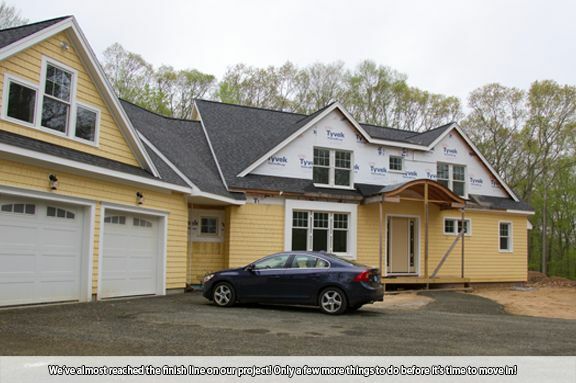 Homebuilding is a system, and so is problem-solving. Being able to think on your feet is important, but being methodical about your plan and the associated problem solving that's sometimes needed can turn a good project into a great one. 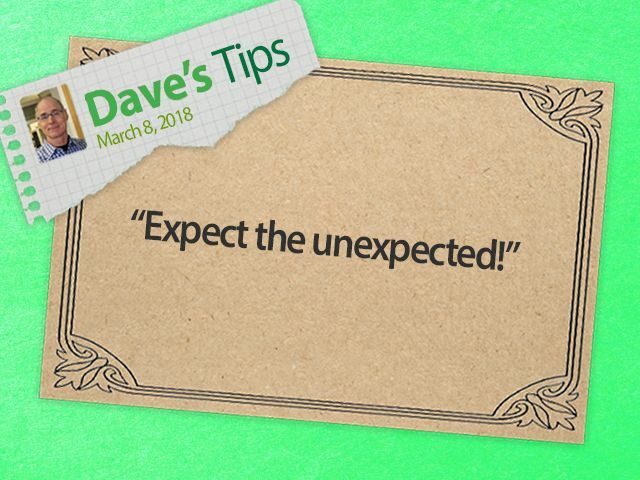 What are some unexpected items that have come up for you during your project? Join the conversation and let us know! Now is a critical time for the HVAC-R industry as education about energy usage and efficiency spreads and the U.S. government moves to regulate commercial and residential pumps. This became especially apparent to me at this year’s AHR Expo, where I noticed that many companies had products on display that had a new addition to them - an efficiency label produced by the Hydraulic Institute. The Institute’s new labels are sort of like the efficiency labels that you sometimes see on consumer products, except they’re for commercial products that aren’t sold in stores. 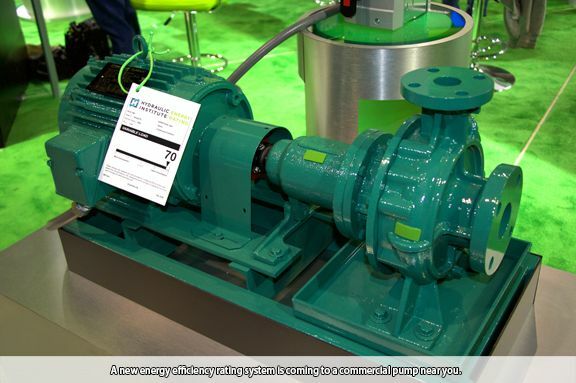 This is a big deal for the industry, because the new efficiency labels offer an apples-to-apples comparison of different pumps and enable the downstream partners of pump manufacturers to identify energy efficient pumps and make the choice that’s right for their system. What a whirlwind these past few weeks have been. For us, preparing for the AHR show is a lot of hard work for everyone involved. The weeks leading up to the show always go by so fast, then before you know it you're there on the show floor, trading stories with other folks from all around the world. If you work in the HVAC-R industry, then you know that AHR is a great place to catch up with old friends and business associates. That's how you know our industry is doing well - this year's AHR in Chicago was packed full of exhibits and people eager to see the very latest and learn from each other about industry developments. That's the other thing I like the most about AHR, is that it provides a snapshot in time of what HVAC-R companies, big and small, are working on and what technologies are coming to the forefront. At the Taco booth this year, connectivity was the dominant theme for this year's show. Most of us are constantly connected to the internet through our mobile devices, and more people want to cash in on the benefits that their device has to offer. So, Taco has developed new products that make life easier and interact more seamlessly with smartphones, tablets and computers. I can't believe it's that time of year again. In just a couple of days, I'll be flying out to Chicago for the HVACR industry's biggest show of the year, the AHR Expo. This three-day event enables industry professionals to view more than 2,000 exhibitors and link up with tens of thousands of professionals, and it's one of my favorite places to visit during the course of a busy year. I won't just be visiting for kicks though - I'll be on booth duty for Taco Comfort Solutions, helping folks get connected with the right solutions for their applications. Connectivity is the theme at our booth this year, and Taco is leading the way in pioneering new ways to make our signature products even easier to use and create new ones that enhance indoor comfort and bring peace of mind to building occupants. If you're at the show, make sure to stop by and say hi! If you won't be at AHR, we will have some new interviews for you in the weeks to come, along with a Taco booth walkthrough so you can see the latest and greatest. Stay tuned!